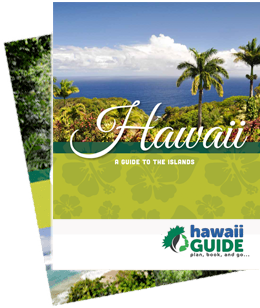 This short moving to Hawaii checklist is designed to aid those of you who are considering or are already in the process of making the move to the Hawaiian Islands. This should not be considered an all-inclusive moving checklist by any means, but it should be a good guide to get you started. Furthermore, this is meant to serve as a guide for not only what you should do in the process of the move, but it also covers some of the other elements you’ll face or most likely will have to deal with (like parting ways with family/friends in some cases). This is one of the biggest hurdles for some people when moving to Hawaii. The idea of packing up and shipping everything you own to Hawaii can be intimidating. In fact, it can be downright overwhelming and that’s exactly why we personally discourage it. Unless you’re overwhelmingly financially capable of doing so, shipping everything you own is probably a mistake. Not only is it an excessive financial burden, it’s an unnecessary objective as a whole – the chances of you needing all that stuff is remote. Simply pack as you would for a vacation, with the idea that less is more. If you’re really attached to your furniture, then it’s probably worth taking since quality furniture can be hard to come by on the islands, especially anywhere not named Honolulu. But the more weight you add, typically the higher the costs. When we planned our move, we decided to only take the fundamental items that would be needed on the islands, and we’d basically restart there. If you’re having trouble taking such a giant leap of faith, consider putting things in storage for a year or so. Then, if you do stay in the islands, you can sell it all at a garage sale or consignment shop to recoup your storage fees. Or, if you’re bolder, just sell as much as you can upfront and use the money to aid with the move itself. Either way, plan for this to be a big step – it’s not like moving across town or even across the country. Everything you ship that’s not mailable (definitely mail what you can that’s reasonable to mail), likely will be put into a container, put on a boat, and shipped to Hawaii. One small tip a good friend gave us when shipping larger cargo is to do the whole process in reverse. For example, if you’re moving to Kauai, call up Matson (one of the most reputable shipping carriers on-island) and explain to them what you want to do. Start the process where you’re arriving and go back to where you’re leaving. The pieces will likely come together much better this way. Another tip: Watch out for moving scams! There are dozens of companies that can “cheaply” move you to Hawaii. If the rates sound too good to be true, they probably are. Some carriers have a lot of deceptive tactics you might not even think of to nickel and dime you, so be very careful who you choose. Finding a reputable company is very important. Finally, make sure anything you do ship is packed properly for shipment via container and on the ship. You’ll want to pack the container as tightly as possible, so hiring professional movers with experience in this type of thing is probably well worth the money. This is another big issue a lot of people face when moving to Hawaii. After all, your pets are your family and you'll certainly want to take them with you. You basically have two options here: Either keep excellent records of your pet’s shots and vaccination history (recommended) OR expect to have an extended quarantine period once they arrive in the islands. You understand the details of the move, and even then it's stressful; so imagine being poor Fido or Fluffy in quarantine. That's why we urge you to have meticulous vet records well in advance of the move. Be prepared to jump over several hurdles and to have some red tape on this one, as Hawaii is rabies free and they go to great lengths to keep it this way. Do your homework on this early- for you and for your pet(s). Employment in Hawaii isn’t like the on mainland, and you’ll need to plan your job strategy out far in advance of your move. Don’t come and just wing it, so to speak. Ask yourself (and be honest) about your skills, how many jobs you’re actually willing to work (part-time), and how much you’re willing to work for. Chances are that wages in Hawaii aren’t even close to what you earn where you live now. Be prepared to work part-time-- perhaps as a contractor-- and maybe even more than one job at a time to make ends meet. As you establish yourself you’ll find ways to improve this, but you’ll likely have to adapt quickly and often to the job environment on the islands. If you are fortunate enough to work remotely, keep in mind that although you may live comfortably on your salary on the mainland, it very well may not provide you with the same standard of living in Hawaii. Ask yourself if you're willing and able adjust your budget accordingly. This is probably one of the largest hurdles we have faced in our move to Hawaii and it actually stopped us dead in our tracks. A lot of things may change given the current state of healthcare in the U.S., but don’t ignore the cost of insurance when planning your move. Since many employers do hire part-time or on a contractual basis, insurance is not always a given in Hawaii. While it is required for all full-time employees to provide insurance in Hawaii (as of this writing- June 2017), you may find it a lot harder to find a full-time job than you would on the mainland. This can, of course, vary from island to island, but in the end, you’re probably going to have two insurance carriers to choose from – so do your research and plan for this as far in advance as possible. Make sure to work this into your budget early on, and don’t just plan to handle it once you arrive. Also, note that there is often a waiting period to join certain insurance plans and you must be a resident for at least 6-12 months. Again, a lot of this may change, but as of this writing, this is where things stand. Reality check time. Unless you’re incredibly wealthy or you're coming from an already very expensive part of the world, expect to downsize dramatically for the same costs you’re paying now. Where we’re from, our 2,200+ sq. ft. home is only around $200K, but in Hawaii, that same home (by the same builder – we looked) goes for no less than $750K. And that’s probably on the cheaper side. All that said, there are great deals to be had and renting is ALWAYS a good option for malihini (newcomers). This next part can vary greatly depending on which island you’re moving to and how large your family is. When we were looking to move to Kauai, rental spaces around 1,200 sq. ft. were going for between $1,250 - $1,500 a month. Sometimes utilities are included and other times they are not. Work your budget out on this far in advance if possible and be sure to add some padding to be safe. Also, attempt to view each rental in person if you do rent, and try to reach a longer-term agreement when possible, as you don’t want to be “bouncing around" from place to place once you arrive. A lot of what we could say here mirrors the moving your belongings section. Unless you’re already on the West Coast or have an attachment to your car, you may find it a lot cheaper to just buy a car on-island or have one shipped from Honolulu if you’re moving to one of the other islands. Again, watch out for scams and people trying to take advantage of you. Find a reputable mover and proceed with caution. This isn’t the mainland, brah! And it’s never going to be, and Hawaii is mo’bettah for it too, yeah? – Be prepared to adapt to Hawaii if you plan to make it here. If you start going on about how things are done and how “inefficient” things are, you’re probably booking your ticket back to the mainland. Hawaii has its own style, culture, and time flow – things are slower here, more laid back, and if the surf’s up, your water heater problem might have to wait a few days before the repair person makes it over. It’s a pretty big cultural change for many people, so do your homework and learn as much as you can about the incredible history that is Hawaii. It seems a lot of people discount this one. They figure it’s not a big deal since it’s “paradise” – but if you’re the type of person who loves to jump in the car to head to the mountains, the city, or make a trip out of state – you’re probably going to get claustrophobic on the island pretty quickly. Island fever is real and sets in for a lot of folks who aren’t used to being on an island. Some folks love this about Hawaii, but others start to really hate it after a few weeks or months. This will be short and to the point. We saved this one for last because it probably has some of the greatest implications for you. Are you prepared to leave your family and/or friends on the mainland? And are you prepared to not see or embrace them in person for long spans of time? Please think through the implications of this, because we’ve heard a lot of people talk about having a hard time with this subject. Fortunately, technology allows us to stay in touch with loved ones, but it can never replace face-to-face interactions. Just think through all the scenarios and proceed accordingly. We hope this has been a good list to help you with planning your move to Hawaii. It’s a bit of a harsh reality check for some people, but we’d rather be honest than sugar coat anything. It’s better to be prepared than not, we always say. We wish you the best of luck as you embark on this new journey, and if we can ever help or be of assistance, just let us know. Moving to Hawaii is a wonderful experience... If you plan properly and know what to expect. See anything that needs updating or want to add your own tips? Email us at i[email protected] and let us know your suggestions and/or thoughts.